Children’s Environmental Literacy Foundation (CELF) is pleased to announce that 10 scholarships and two school awards are available for Danbury Public School teachers to attend its 2017 Summer Institute for Sustainability Education, thanks to generous support from the Praxair Global Giving Program. CELF’s Institute trains K-12 teachers on Education for Sustainability and will take place at Manhattanville College on July 10-13. Designed to help educators in all subject areas integrate environmental literacy and sustainability into their curriculum, the summer professional development workshop is one of many programs developed and run by CELF, an award-winning nonprofit organization based in Valhalla, NY. The theme of this year’s Institute is “Activating Change” and will feature high-caliber presenters like Steve Kaagan, from The Climate Interactive, Andrew Revkin, Senior climate reporter from ProPublica, and Dr. Amy Kamarainen of Harvard’s Graduate School of Education. Breakout sessions also abound on topics like Equity and Social Justice, Climate Change, Water, Student Advocacy, School Gardens, Citizen Science, Eco-Footprints and more. complements existing classroom education and brings added benefits to the students and schools in our community. We are proud to be able to offer this support through the Praxair Global Giving Program." CELF’s mission is to make Education for Sustainability (EfS) an integral part of every school’s curricula and culture – from kindergarten through high school – to prepare current and future students to be active and responsible citizens of a sustainable world. CELF was founded based on the vision of a citizenry with a deep understanding of the dynamic interdependencies between human and natural systems and the critical role education plays in establishing a healthy and equitable future. Awarded with membership in the Clinton Global Initiative in 2012, CELF’s work with New York City Public Schools has been recognized as a CGI Commitment to Action project. 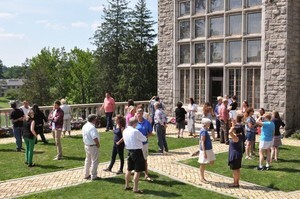 CELF Summer Institute participants are eligible for in-service credits, or graduate credits from the Manhattanville College School of Education. Regular tuition for the Summer Institute is $450. Discounts are available for teams of 3 or more teachers from the same school. 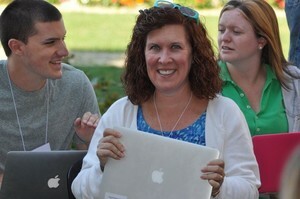 For more information about CELF and the CELF Summer Institute, go to www.celfeducation.org. About The Children’s Environmental Literacy Foundation (CELF): Founded in 2003 and based in Chappaqua, NY, CELF was created to promote awareness of the importance of sustainability education and to help schools and school districts make sustainability an ongoing part of education. To achieve this, CELF provides consulting services for schools and school districts, training for teachers and administrators and sustainability education programs for students. A 501(c)3 nonprofit organization, CELF works with all kinds of schools—urban, suburban and rural, public and private. For more information go to: www.celfeducation.org.